These are the minimum permissions required by the JIRA DVCS connector. Selecting additional permissions will have no adverse affects on the integration. For JIRA 6.2, the URL to use is https://example.atlassian.net/plugins/servlet/oauth/authorize . 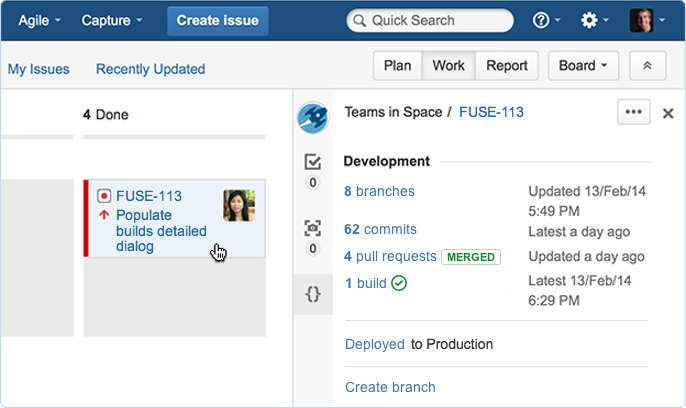 From the JIRA Software dashboard click the (settings) icon. hg commit -m "DVCS-2 add a README file to the project."